Well, the weekend is gone again and I didn’t spend much time trying new recipes. 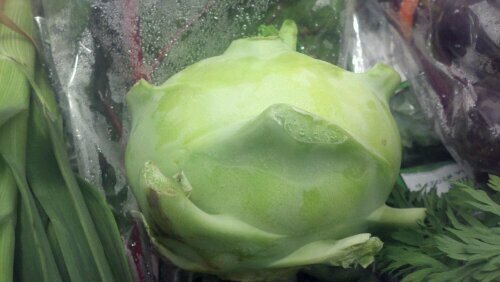 But, I did try the kohlrabi raw. I just peeled it and cut it up to eat. I expected it to be like a radish. Surprise, it actually tasted like the center of a cut cabbage. And, this was a treat. I remember when my Grammy would make coleslaw and I would hover around the kitchen hoping to get the core. That seems ridiculous now but I do remember that being a special treat. Plus, it was attention from my Grammy. She was the bomb-diddy so anything Grammy did was great. I have a feeling that she would like kohlrabi. 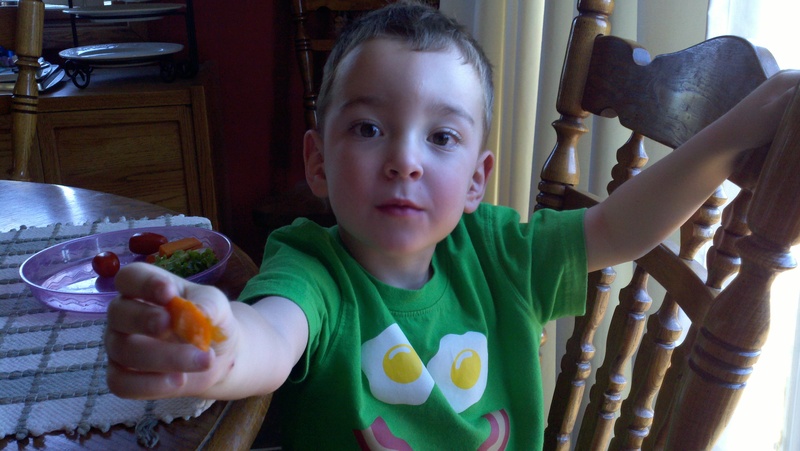 And, to my shock and amazement, Little Dude begged to have a snack before dinner and actually ate his salad first! (I’m a proud Momma.) 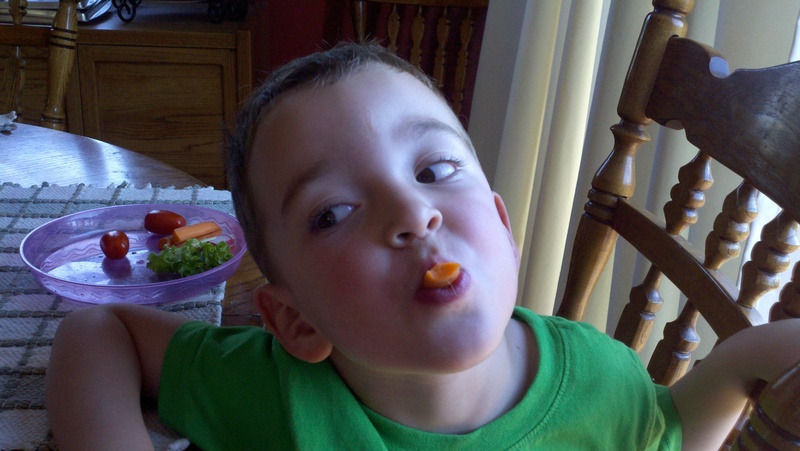 He offered to share and then made a carrot face. He’s three. What else can you expect while I’m standing around pointing a camera at him? 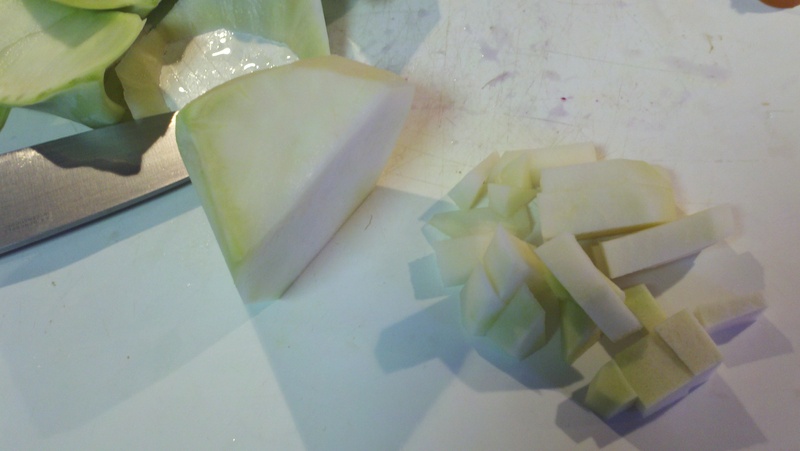 What the heck is kohlrabi??? It sort of looks like a turnip or a fennel bulb. Kinda. 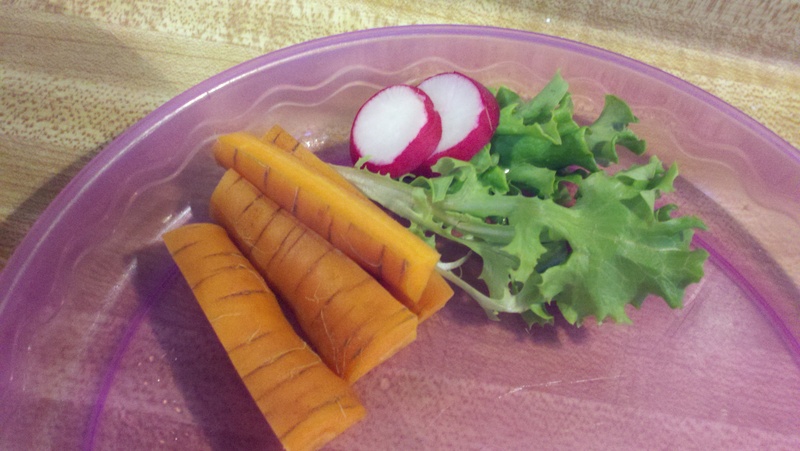 The CSA newsletter suggests eating it raw like a radish or in a coleslaw. I also saw a recipe to bake it and make kohlrabi fries. Hmmmm. We’ll see … What do you recommend?